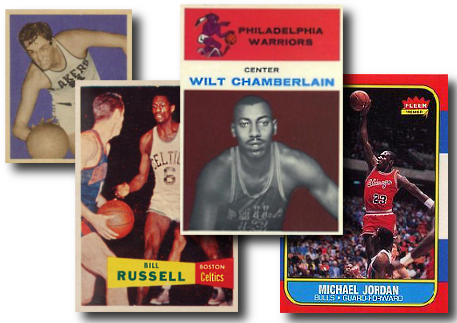 Shop Basketball Cards - Vintage to Modern - Topps, Bowman, Fleer, and more! 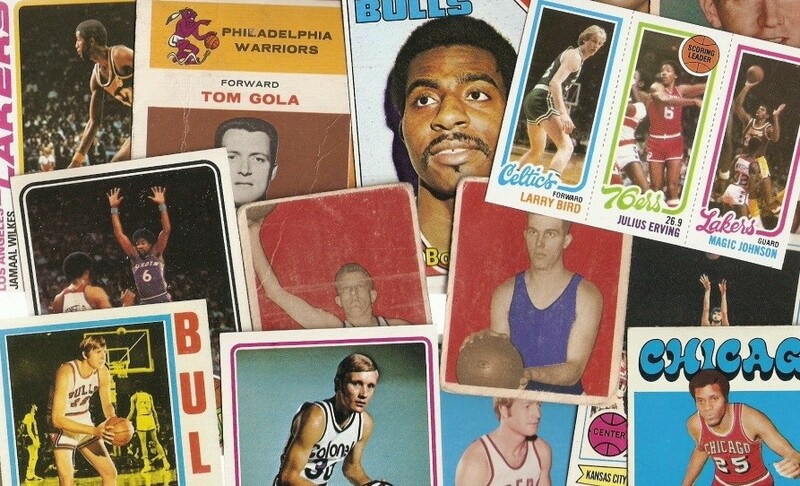 Vintage basketball cards continue to have interest to collectors, even though the style of the NBA game has changed dramatically since its inception. Overall, there were not nearly as many vintage basketball trading card releases as you would see in other sports. And the hobby really only saw one set a decade from the 1940s-1960s by each of the main manufacturers (Bowman, Topps, and Fleer). Basketball Star and Rookie Cards, as with other sports, still hold a premium. This is especially true of Michael Jordan and the other top players in NBA and ABA history.